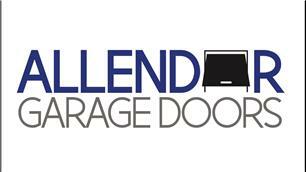 Allendor Garage Doors - Garage Doors based in Penshaw, Tyne And Wear. Whether it be a new garage door, an automated system or a simple repair, Allendor have over 17 years experience in the industry. A family run business with a vast experience of installing and maintaining all major brands of garage doors at a competitive price. We offer high quality doors manufactured by some of the renowned names in the industry such as Hormann, Gliderol, SWS and Garador. Giving you a choice of doors to suit your needs including roller shutters, sectional, canopy, retractable and side hinge doors. Manufacturer trained, fully insured and a licensed waste carrier, we offer our services to both private and commercial clients who need garage doors in the North East. Our doors and workmanship carry extensive guarantees to give you complete piece of mind. Our electric operators fully comply with the current Machinery Directive. We carry out a full and free site survey and provide you with a no obligation quote. Our quote will include the removal and disposal of your existing door, full installation and any fascias or trims which may be required. We also offer a door automation service to convert your existing door from manual to electrically operated from a remote control. If it's a repair you need we aim to repair your door rather than replace, as part of your repair we will also carry out a service on your door to keep it problem free.